A 3 tier contemporary dove grey design for our 2019 collection. 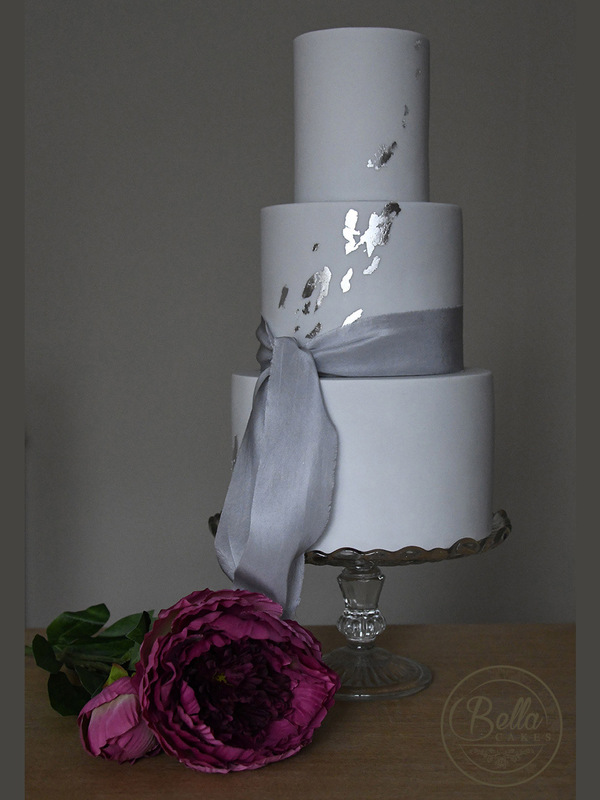 A touch of luxury with an edible silver leaf flume rising from the bottom tier to the top. Dressed with a Habitai hand dyed silk ribbon to complement this elegant design.